The Small Cap Value style ranks last out of the twelve fund styles as detailed in our 2Q16 Style Ratings for ETFs and Mutual Funds report. 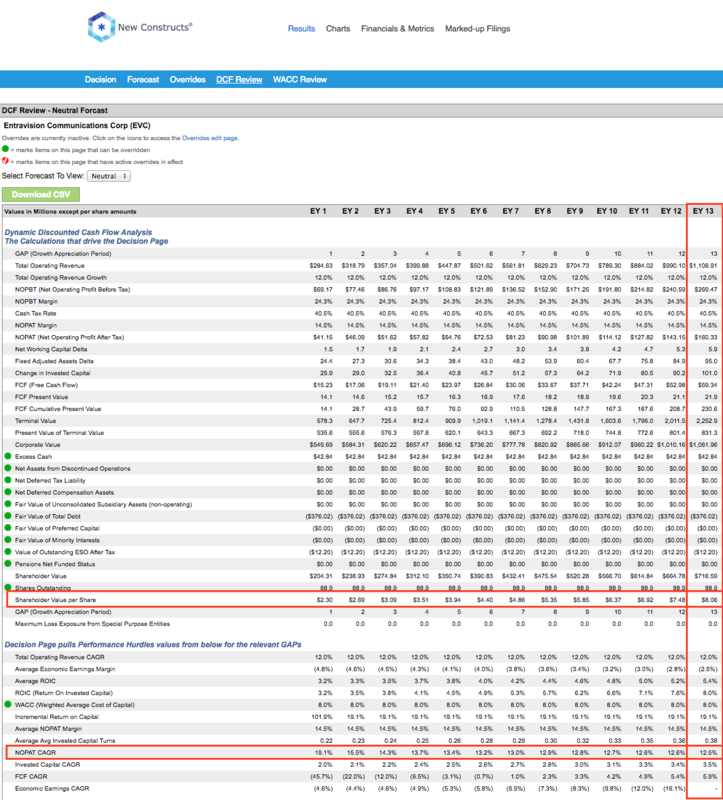 Last quarter, the Small Cap Value style ranked eleventh. It gets our Dangerous rating, which is based on aggregation of ratings of 18 ETFs and 278 mutual funds in the Small Cap Value style as of May 3, 2016. See a recap of our 1Q16 Style Ratings here. Figures 1 and 2 show the five best and worst rated ETFs and mutual funds in the style. Not all Small Cap Value style ETFs and mutual funds are created the same. The number of holdings varies widely (from 24 to 1335). This variation creates drastically different investment implications and, therefore, ratings. Nationwide Bailard Cognitive Value Fund (NWHFX, NWHGX, NWHHX, NWHEX) and CornerCap Small-Cap Value Fund (CSCJX, CSCVX) are excluded from Figure 2 because their total net assets (TNA) are below $100 million and do not meet our liquidity minimums. 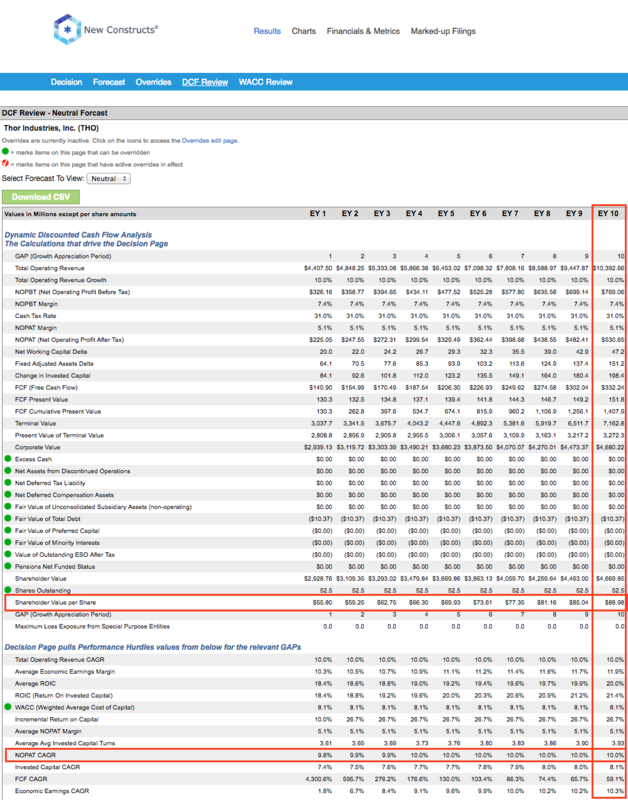 PowerShares S&P SmallCap Low Volatility Portfolio (XSLV) is the top-rated Small Cap Value ETF and Dean Small Cap Value Fund (DASCX) is the top-rated Small Cap Value mutual fund. XSLV earns a Neutral rating and DASCX earns a Very Attractive rating. Guggenheim S&P MidCap 400 Pure Value ETF (RFV) is the worst-rated Small Cap Value ETF and Mid-Cap Value ProFund (MLPSX) is the worst-rated Small Cap Value mutual fund. RFV earns a Dangerous rating and MLPSX earns a Very Dangerous rating. Thor Industries (THO: $63/share) is one of our favorite stocks held by DASCX and earns an Attractive rating. Since 2008, Thor Industries has grown after-tax profit (NOPAT) by 11% compounded annually. The company has improved its already impressive return on invested capital (ROIC) from 16% in 2008 to a top-quintile 22% over the last twelve months. Despite the strong underlying fundamentals, THO remains undervalued. At its current price of $63/share, Thor Industries has a price-to-economic book value (PEBV) ratio of 1.1. This ratio means that the market expects Thor’s NOPAT to increase by only 10% over its remaining corporate life. If Thor can grow NOPAT by 10% compounded annually for the next decade, the stock is worth $89/share today – a 41% upside. Entravision Communications Corp (EVC: $8/share) is one of our least favorite stocks held by ACSCX and earns a Dangerous rating. Over the past five years, Entravision’s NOPAT has declined by 1% compounded annually. The company has never earned a ROIC above 4% and currently earns a bottom-quintile 3% ROIC. Worst of all, the company hasn’t generated positive economic earnings in any year dating back to 2000. Despite the operational struggles, EVC remains overvalued. To justify its current price of $8/share, EVC must grow NOPAT by 13% compounded annually for the next 13 years. These expectations seem overly optimistic given Entravision’s track record.